Love ocean sports? 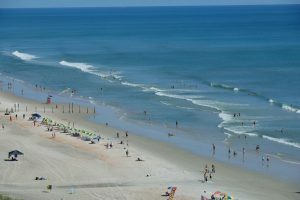 Why not soak up the beach vibe as Daytona Beach hosts the Pan American Masters Championship – the largest ocean swim competition to be held in Daytona Beach to date. 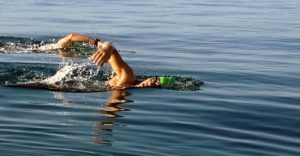 Swimmers from all over the world – from youth to adult and novice to Olympian – will descend upon the white sand beaches and the inviting waters of Daytona Beach to compete in the Open Water (1.5K and 5K). Starting and finishing at the Hilton Daytona Beach Oceanfront Resort, check out the map and schedule for the best vantage points along the coast to watch the event. Admission FREE. Discover Daytona Beach, where you have a 500-foot sandy backdrop to unplug, unwind and reconnect with one another. This entry was posted on Tuesday, July 24th, 2018 at 8:04 am	and is filed under Drive I-95, Exhibition, Family Fun, Florida, Nature, Special Event, Sports, United States, USA. You can follow any responses to this entry through the RSS 2.0 feed. Both comments and pings are currently closed. 18 mySQL queries executed in 0.204 seconds.